Synergies exist between postpartum family planning and maternal, infant, and young child nutrition, yet health services are often provided in silos. 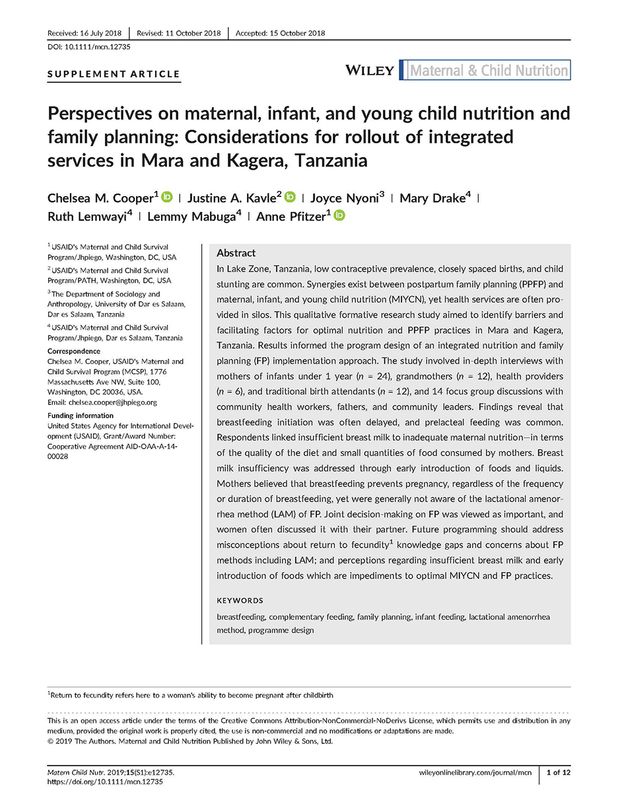 This qualitative formative research study aimed to identify barriers and facilitating factors for optimal nutrition and PPFP practices in Mara and Kagera, Tanzania. Results informed the program design of an integrated nutrition and family planning implementation approach.